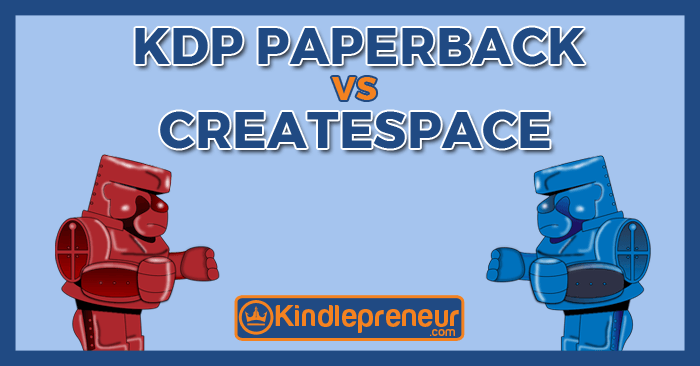 Today’s in-depth comparison of the two major print-on-demand platforms, CreateSpace vs KDP Print, is brought to you by the talented, well-connected (and sassy) Gundi Gabrielle, who is a bestselling author and a blogger of her global traveling adventures. If you ever published a Kindle book on Amazon, chances are you also created (or contemplated) a print version of your Kindle book and published via CreateSpace, Amazon’s print-on-demand (POD) platform. In the summer of 2016, Amazon launched a 2nd POD platform – “KDP Print” – right in the KDP backend that most authors use to publish Kindle books. At that time, only a limited number of authors were invited, but on February 15, 2017, KDP Print – still in Beta testing – was opened to the public. Now suddenly, authors were scratching their heads trying to decide which platform to use, with KDP strongly promoting their new POD feature right within the author account. You probably noticed that whenever you publish a new Kindle book these days, a pop-up will appear right after you hit “Publish,” inviting you to add a print version. If you are happy and familiar with CreateSpace, you have probably been wondering whether you should switch? While KDP was quick to add a comparison chart for both platforms, a few important aspects were left out. Plus, KDP Print is still undergoing frequent updates – even during the writing of this article, which we’ll work hard to keep up-to-date. In addition, you can’t just switch back and forth at will. Once you move a book over to KDP, the move is permanent. It’s a one-way street. WHY A 2ND POD PLATFORM? While Amazon tends to be rather tight-lipped about their plans and motives, what crystallized during several conversations I had with Amazon reps was that KDP Print had been created to more strongly entice authors to add print versions to their Kindle books. Something many had not bothered with before. Having a POD option right within the KDP backend seemed to make the process of adding a print book a lot easier for authors, and it allowed Amazon to reach out to authors more directly than ever before. 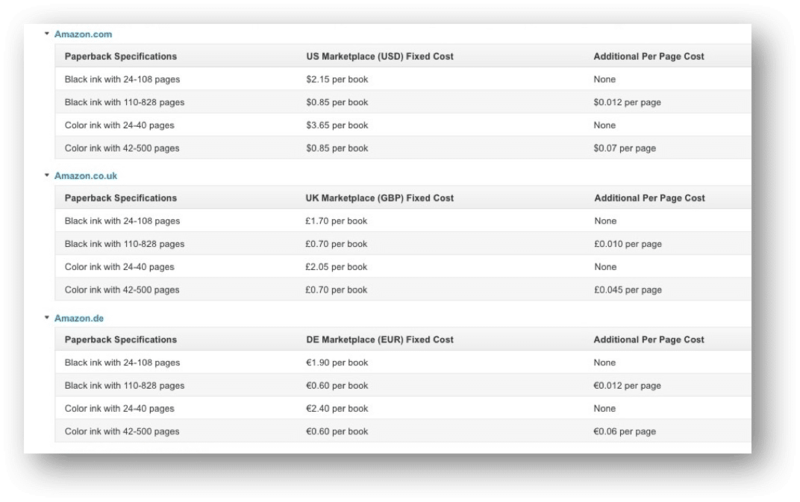 If you use KDP for your Kindle books, then you have already seen the combined accounting interface. Obviously, that is an advantage, as is not having to manually connect the two versions on the Amazon sales page. Beyond that though, is it really a good idea to switch at this point? Or does CreateSpace still offer many advantages over KDP that should delay such a move? From this chart, it seems distribution across international stores is identical, except that Japan is available only on KDP Print. Notice any countries missing though…? Yes, what about our Canadian friends and readers? And our Oz and Kiwi readers, Asian readers, African readers…? The problem with POD via CreateSpace has always been that ordering print books was only possible through Amazon.com and most of the European stores. Canada was added to CreateSpace as late as 2015, but is still not part of KDP Print distribution. Of course, Canadian readers can order through the US store, but many will not be aware that your book is available in print, and most will not bother to check. While KDP Print books can now be ordered through the Japanese store, which is a nice touch, no official answer was given though as to whether Japan has a local printing plant (which would greatly decrease shipping times and cost for customers in the region) or if the books are still shipped all the way from the US. Amazon printing plants in Europe are a well-known fact, but when asked about Japan I was given “no comment.” Upon checking with several of my author friends in the region, it seems Amazon POD books are still being shipped from the US, so apparently no printing plant in the region just yet. Also, there was no confirmation about the Australian store being added to either POD platform soon. The recent opening of Amazon fulfillment centers in both Australia and Japan though gives hope that eventually Amazon POD books will be added as well. If worldwide distribution is important to you – or getting into (physical) bookstores – you might be better off adding a platform like Ingram Spark or Lightning Source. In that case, be sure to purchase your own ISBN to use across all platforms, so bestseller ranking doesn’t get diluted over several ISBNs. Authors have also reported that Amazon’s ranking algorithm seems to favor Amazon ISBNs, known as ASIN, over external ones if there are two or more options. One of the most important questions on every author’s mind is, of course, the financial aspect: Is there a difference in earnings and royalty calculation? For Europe: Same as US store except for books with fewer than 110 pages. On both platforms, the production/printing cost is a combination of “fixed cost” and an “additional per page” charge. With fewer than 100 pages, CreateSpace will cost slightly less than KDP, while books containing between 101-108 pages will cost slightly more on CreateSpace. => only at 108 pages is production cost the same. With fewer than 108 pages, CreateSpace pricing gets lower. 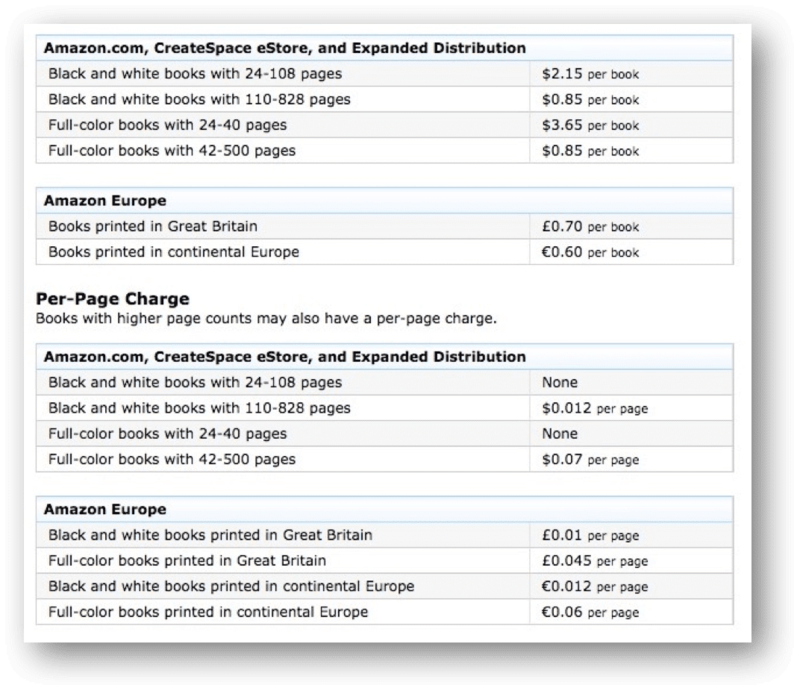 Both platforms apply a 60% royalty rate for books sold through the Amazon stores. The calculation is based on the “List Price”. CreateSpace clearly defines “list price” as the price set by the author. On KDP, the definition isn’t quite as clear. 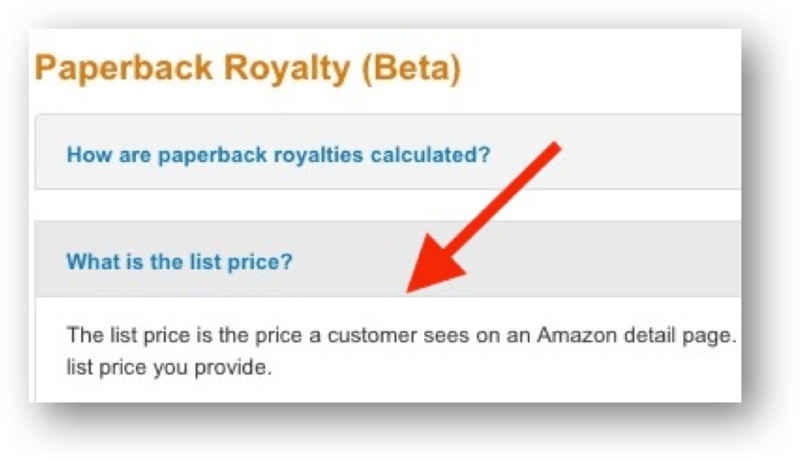 List price is defined as the price the customer sees on the Amazon Sales page. You probably noticed that the author price is often crossed out on the sales page, and Amazon instead sells the book at a different – usually lower – price. This price is whatever the algorithm deems the best converting price at any given time. 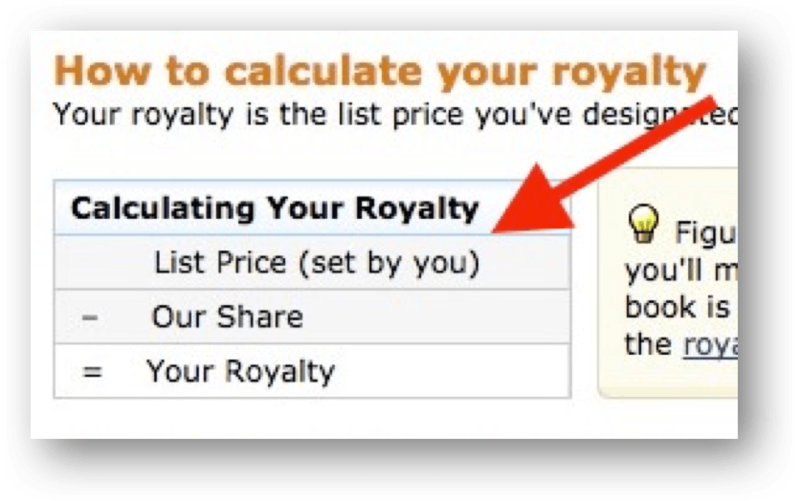 After some conflicting answers I received earlier this year, Amazon now confirmed that KDP will also base royalty calculations on the author’s set price, regardless of how much the book is actually selling for. Start with a list price that you feel most appropriate. Leave it for a few weeks and let the Amazon algorithm use it as a base to find the best converting price. Then, once the sales price has stabilized, raise your list price. Oftentimes, Amazon will continue with the lower price in the range that you initially established, while you get paid royalties on the much higher list price. So, if you set your list price at $22.99, and Amazon sells it for $18.99, your commission is based on the $22.99. So how that can be really really good ? Obviously, this should be done within reason and ethically, but even raising it by a few dollars per book can significantly raise your print income. The obvious advantage of KDP Print is the combined accounting interface where all sales and royalties – for both Kindle and Print versions – are presented together in the same chart. Up until recently though, KDP’s accounting backend was frustrating at times. Particularly disappointing was the fact that you could only access sales figures for the last 90 days. Beyond that time frame, you had to download an Excel report – for each month separately! – and then have Excel add it all together. This was tedious, impractical, and frustrating for tax purposes. While I was writing this very article, KDP rolled out a major update to its accounting interface, which now allows easy online access to sales numbers all the way back and monthly accounting at least until October 2016. Monthly periods before this still have to be exported to Excel. This evened the score between the two platforms significantly, and clunky KDP accounting is no longer a reason to stay with CreateSpace – which doesn’t have the most practical accounting backend either, but at least it allows for online access to your entire paperback accounting. Getting paid every 30 days is obviously better than 60, so at this point it becomes a question of preference between faster payout vs. combined accounting interface as far as the financial aspects are concerned. All three are obviously important and would alone be reason enough to stay with CreateSpace, but rumor is that KDP Print is going to add these features soon, so I will leave it at that. Professional publishing services, such as cover design, editing, formatting, and marketing, are only available on CreateSpace at the moment. No word yet on this addition to KDP Print. For most authors, however, this is probably the least important distinction as there are plenty of other services that provide these services. Every time you upload an update, CreateSpace takes down your print/paperback version, which is an entirely separate entity from your Kindle book as far as ranking is concerned. On the other hand, KDP – both print and Kindle – keep your old version up and available for purchase until the new version is approved. Having your print version taken down can be a big deal when that version is selling well (e.g., when you are “riding the algorithm,” and Amazon naturally promotes your paperback book). I experienced this firsthand with one of my travel books. Over several months, print sales were consistent and actually increasing, without extra promos needed. Then I had to upload an update and the print version was taken down while the updates were in review. The paperback completely disappeared from the Amazon store for almost a full day. While that may not seem like much, it was enough to interrupt the great run this print book had enjoyed, and it reset the algorithm to some degree. Yes, there are numerous factors that contribute to ranking and sales fluctuations, but the change was so sudden (and permanent) from one day to the next that there is no question of a correlation. And once the damage is done, it’s not easily repaired. This book still has decent sales and occasionally outranks Lonely Planet at #1, but there is no comparison to the way it was thriving before the update. Taking a book down during the review process is standard practice with CreateSpace, and there are no plans to change that procedure. Since KDP keeps your old version available until the new one is approved, there is no interruption. The print version never disappears from the Amazon store, and your ranking is not affected or interrupted. So if you have a well-converting paperback, switching to KDP Print will be the better option, certainly once you need to update. As I mentioned in the beginning, moving your print version over to KDP is irreversible. Once you switch, you cannot move back, at least not for that particular book. Of course, you can always create a new print book in CreateSpace, link it with your Kindle book, and then delete the KDP Print version…but you cannot switch an existing paperback back and forth. CREATESPACE OR KDP – WHAT’S IT GONNA BE? Looking at all the above factors, CreateSpace – for the moment at least – still presents a few more advantages, though they are slowly eroding as KDP Print keeps adding new features in the coming months. A lot of effort seems to be invested in making KDP a superior POD platform. Keep in mind that KDP’s print feature has barely existed for a year and only been open to the public for the last few months – and it is still in beta testing. Aside from the above-mentioned additions, it will be interesting to watch what other features KDP will add over time. For now, I will keep my books mostly in CreateSpace until the announced updates have been made, but over time – and also for future books – I will gradually move over to KDP Print. 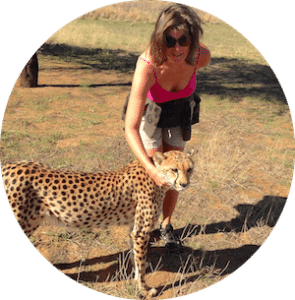 Gundi Gabrielle – aka SassyZenGirl – is an 8-time #1 Bestselling Author of “The Sassy Way….when you have NO CLUE!” — Beginner Internet Marketing series , the Zen Traveller Series, and “Travel for FREE” (Grab your FREE copy HERE). A former Carnegie Hall conductor and Concert Organist, she decided 3 years ago to make a bold change in her life, packed up a few belongings and drove all the way from Santa Monica, California to Alaska. She has no plans of settling down anytime soon…..